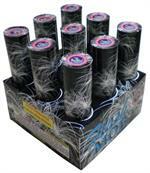 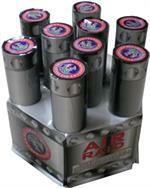 These nine shot cakes offer the highest and largest displays in consumer fireworks. 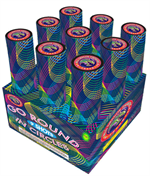 If you are planning a large display these items are a great addition to your show. 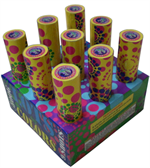 9 shots heavy breaks: red/green/blue/brocade ring with crackle.